Cream the egg, flour and little oil. Mix in the shelled shrimps, soy sauce, ginger paste, cut coriander leaves and cut onions. 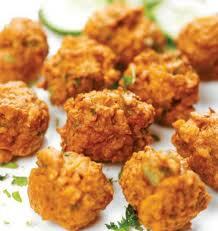 Shape into balls or flat cutlets. Heat up oil in a kadhai and deep fry the cutlets till golden brown. Serve as a snack or as a side dish with lunch.